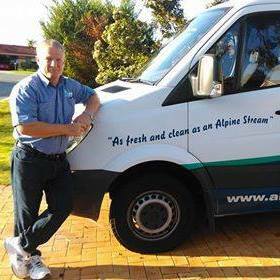 This following document sets forth the Privacy Statement Policy for the Company Alpine Carpet & Tile Cleaning Web site www.alpinecarpetcleaning.com.au. Alpine Carpet & Tile Cleaning is committed to providing you with the best possible customer service experience. Alpine Carpet & Tile Cleaning is bound by the Privacy Act 1988 (Crh), which sets out a number of principles concerning the privacy of individuals. There are many aspects of the site which can be viewed without providing personal information, however, for access to Alpine Carpet & Tile Cleaning customer support features, you may be required to submit personally identifiable information. This may include but not limited to a unique username and password, or provide sensitive information in the recovery of your lost password. We may occasionally hire other companies to provide services on our behalf, including but not limited to handling customer support enquiries, processing transactions or customer freight shipping and legal based. Those companies will be permitted to obtain only the personal information they need to deliver the service. Alpine Carpet & Tile Cleaning takes all reasonable steps to ensure that these organisations are bound by confidentiality and privacy obligations in relation to the protection of your personal information and follow the outline of our Privacy Statement Policy. For each visitor to reach the site, we expressively collect the following non-personally identifiable information in line with our Privacy Statement policy , including but not limited to browser type, version and language, operating system, pages viewed while browsing the Site, page access times and referring website address. This collected information is used solely internally for the purpose of gauging visitor traffic, trends and delivering personalized content to you while you are at this Site.From time to time, we may use customer information for new, unanticipated uses not previously disclosed in our privacy notice. If our information practices change at some time in the future we will use for these new purposes only, data collected from the time of the policy change forward will adhere to our updated practices. We will never sell or divulge your personal information for purposes of company or personal gain. Alpine Carpet & Tile Cleaning reserves the right to make amendments to this Privacy Statement policy at any time. If you have objections to the Privacy Statement policy, you should not access or use the Site. You have a right to access your personal information, subject to exceptions allowed by law. If you would like to do so, please let us know. You may be required to put your request in writing for security reasons. Alpine Carpet & Tile Cleaning reserves the right to charge a fee for searching for, and providing access to, your information on a per request basis.